Anyone who walks the streets of the city comes across these ghosts. 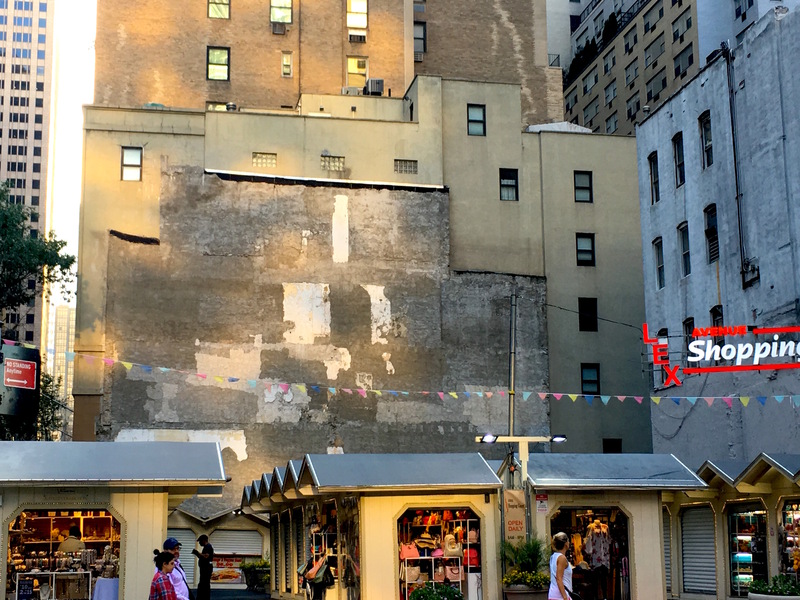 They’re the faded outlines of what was once a New York home or building, sometimes still with the demarcations separating rooms—as the side of an empty tenement on Third Avenue and 109th Street shows in the image below. Knocked down or uncovered during construction, they usually reveal themselves only for months, maybe a few years, before they are quickly covered up again when a new structure is built over it. My favorites are the edges of the kinds of buildings New York doesn’t build anymore, like this second one above, what looks like a squat, three-story walkup with a small chimney. 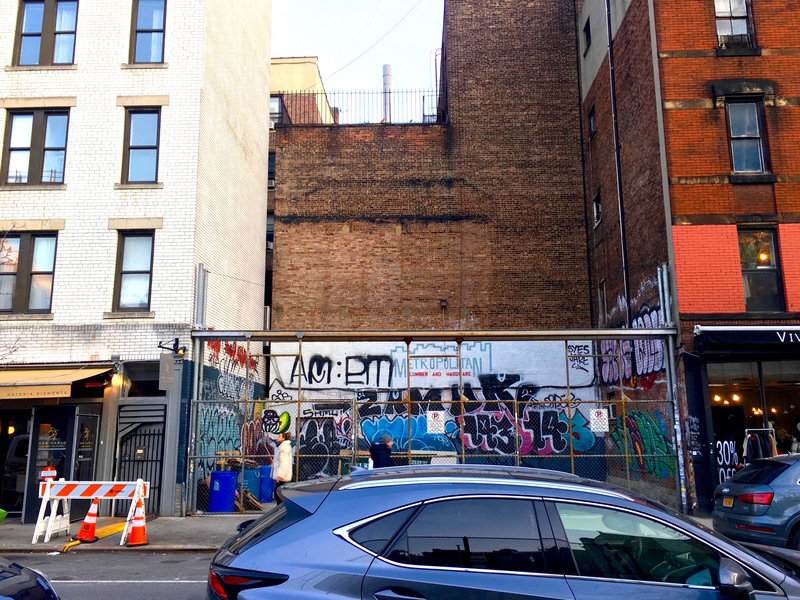 It was once attached to the side of a larger tenement on West 96th Street near Riverside Drive. A peaked roof (above) at Franklin Street and one-block Benson Place north of City Hall piques my interest. 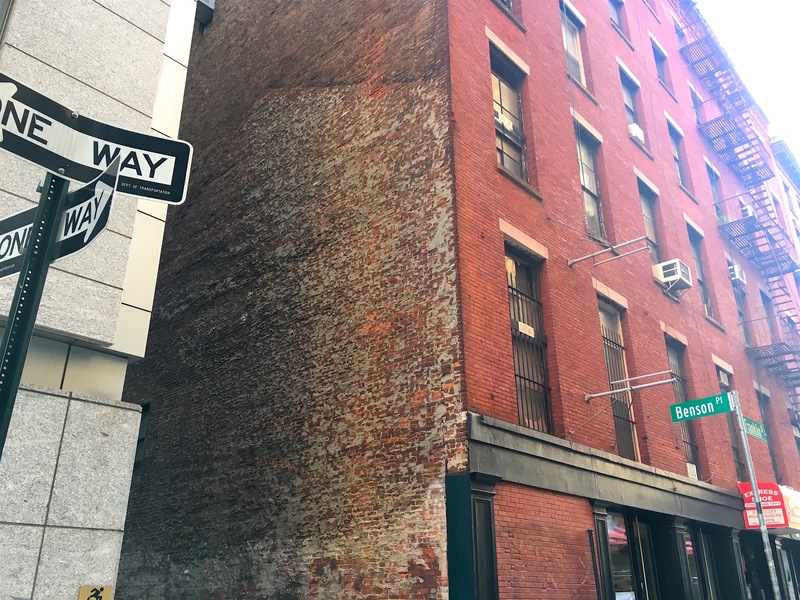 Was an old Dutch or Federal-style building here in the 17th or 18th centuries, when Benson Place was still a dead-end alley? 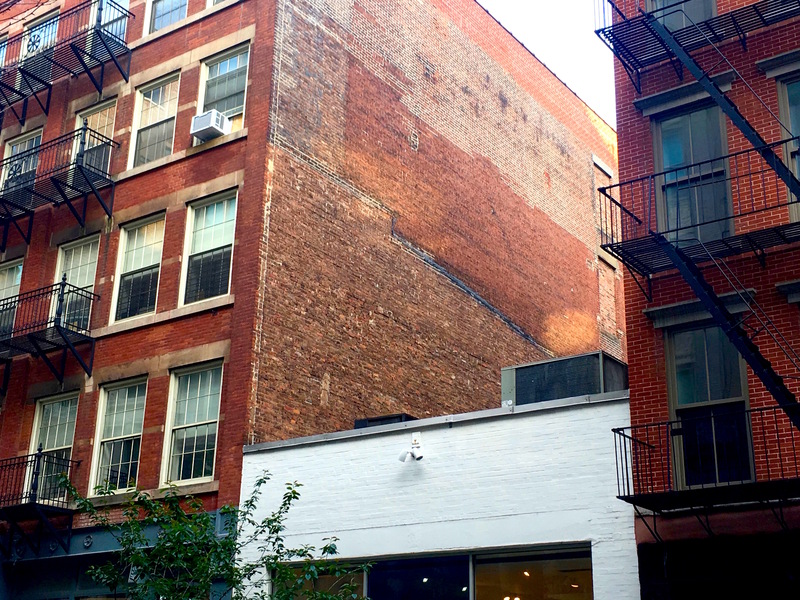 This tenement-looking outline is an unusual one (above); it’s on Lexington Avenue in the 50s. I wonder what the view from the back must have looked like, and how easy it was to see what the neighbors in other tenements were doing. 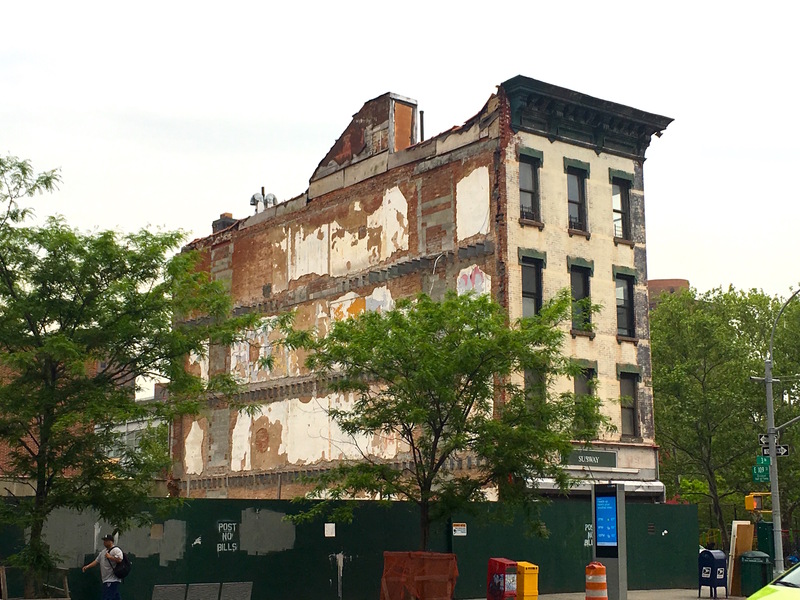 On Madison Avenue and 31st Street, an old-school tenement that blended in with its neighbors was torn down (above). It looks like it was set back a bit from the sidewalk, and it too probably had a wooden water tower on top. 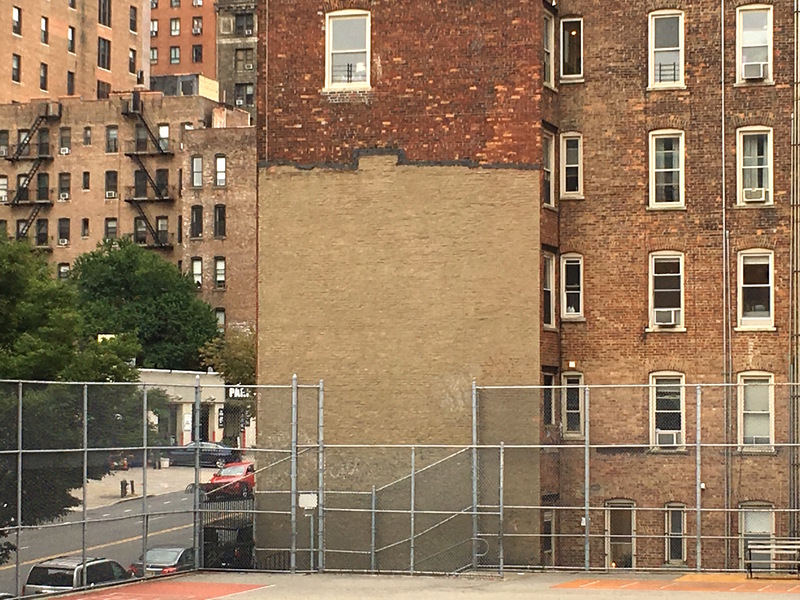 I noticed this phantom outline in Tribeca several months ago (above), but I still am not sure what kind of building stood here. Something appropriately low and squat, maybe a stable? The dark smudges on the brick building that used to be its neighbor look like smoke stains from a chimney. This last one, I believe from Greenwich Street downtown, is also a mystery. 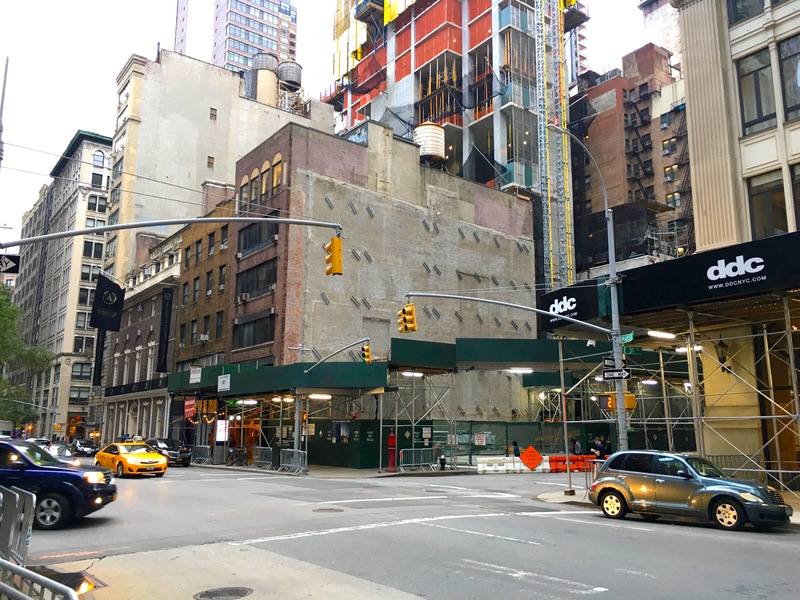 The angle of the roofline makes me think it’s a remnant of an old Manhattan structure of some kind when the city was concentrated below today’s Soho.